Many candidates of BNP and its alliance partners, including Khaleda Zia and many other front-ranking leaders, were declared invalid on Sunday by the Election Commission during scrutiny. 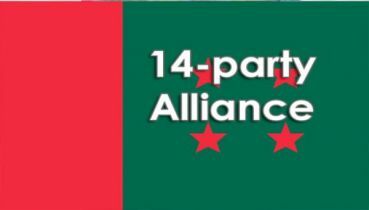 They include BNP Vice-chairmen Morshed Khan, Mir Nasir and Giasuddin Quader Chowdhury, BNP chairperson's adviser Amanullah Aman, Krishak Sramik Janata League (KSJL) president Abdul Kader Siddiqui, ex-minister Barrister Aminul Haque, former Finance Minister Shah AMS Kibria's son and Gano Forum runner Reza Kibria and Golam Maula Rony, who recently joined BNP. In Dhaka, the returning officer declared BNP leader Amamnullah Aman's nomination illegal for Dhaka-2 constituency as he was convicted in a corruption case. 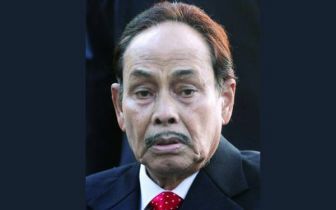 Besides, the nominations of BNP's Dhaka-6 candidate and ex-Mayor Sadek Hossain Khoka's son Ishraque Hossain, Dhaka-1 runner Khandaker Abu Ashfaq and Dhaka-20 contender Sultan Ahmed were also revoked. In Tangail, the nomination papers of KSJL chief Abdul Kader Siddiqui for Tangail-4 and Tangail-8 constituencies were rejected on charge of loan default, said returning officer Shahidul Islam. 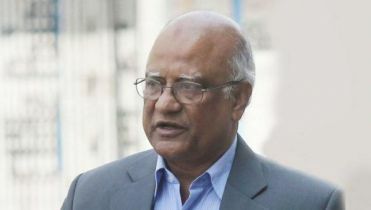 Besides, the nominations two BNP runners -- Fakir Mahbub Anam Swapan and ex-state minister Nur Mohammad Kahn -- for Tangail-1 and Tangail-6 seats respectively were also declared invalid on charge of loan default. In Chattogram, the returning officer cancelled the nomination of BNP leader and former Foreign Minister Morshed Khan for Chattogram-8 constituency on charge of not clearing the electricity bill. The returning officer also rejected the nominations of Giasuddin Quader Chowdhury for Chattogram-2 and Chattogram-7 while his son Samir Quader Chowdhury for Chattogram-6 due to loan default. The nominations of BNP candidates Mir Nasirand his son Mir Helal for Chattogram-5, BNP joint secretary general Aslam Chowdhury for Chattogram-4 and Mostafa Kamal Pasha for Chattogram-3 were also annulled on charge of loan default. In Patuakhali, the nomination of former Awami League MP Golam Maula Rony for Patuakhali-3 seat was cancelled as he did not put his signature on the affidavit. 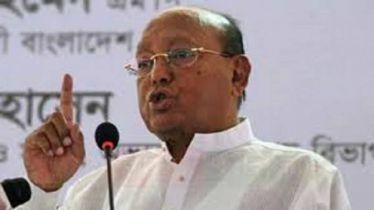 On November 26, Rony joined BNP consciously deserting his party Awami League. 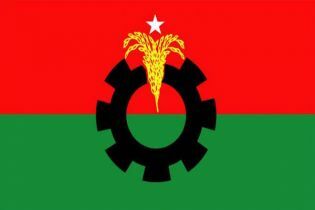 Later, he received the BNP nomination letter for contesting the general election from Patuakhali-3. In Habiganj, the returning officer cancelled the nomination of Gano Forum candidate Reza Kibria for Habiganj-1 constituency due to loan default. InNatore, returning officer Shah Reaz turned down the nomination of BNP's organising secretary Ruhul Quddus Talukder Dulu for Natore-2 seat as he was convicted in two cases. However, his wife Sabina Yesmin's candidature in the same constituency has been declared valid. Besides, Jamaat leader Delwar Hossain Khan's nomination for Natore-4 seat was rejected by the returning officer. In Rajshahi, the returning officer annulled the nomination papers of former BNP minister Barrister Aminul Haquefor Rajshahi-1. In Kishoreganj, the nomination of BNP's Kishoreganj-2 candidate Maj (retd) Akhtaruzzaman was cancelled on charge of loan default. Besides, nominations ofBNP's four other candidates - M Shariful Islam and Khaled Saifullah (Kishoreganj-1), Saiful Islam Sumon(Kishoreganj-3) and Suranjan Gosh (Kishoreganj-4) -- were also cancelled. 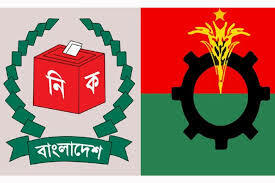 Meanwhile, BNP alleged that the returning officer rejected the nomination papers of its four aspirants in Manikganj district questioning the authenticity of Mirza Fakhrul Islam Alamgir's signature during the scrutiny. BNP chairperson Khaleda Zia cannot contest the 11th parliamentary elections as the Election Commission on Sunday ditched her all the three nomination papers filed for contesting the polls from Feni-1, Bogura-6 and Bogura-7 seats for her conviction in two graft case.